Dr. Dutz is a Professor at UBC and a scientist with the Child and Family Research Institute and the Vancouver Coastal Health Research Institute. He received MD degree from Queen’s University. He continued with postgraduate training in Internal Medicine and Rheumatology (University of Toronto) and Dermatology (UBC). Dr. Dutz has been the recipient of numerous honors and grants for research and investigation, and has co-authored over 50 scientific journal publications and 50 journal abstracts, as well as several chapters in books. Dr. Dutz’s practice includes a Connective Tissue Disease clinic, and he is one of a few physicians in North America to be board certified and maintain active clinical interest in both Rheumatology and Dermatology. He has been awarded for his teaching and in the connections he brings to linking basic science discoveries and clinical dermatology. His current interests are skin immunization, melanoma, diabetes, and alopecia areata. Dr. Dutz is the Coordinator of Resident Research for the UBC Department of Dermatology and Skin Science, and the focus of his laboratory has an independent laboratory is to study the skin immune system and its participation in autoimmune disease. ( Dr. Jan Dutz, Rheumatologist, Vancouver, BC ) is in good standing with the College of Physicians and Surgeons. The speaker in the video may have no association with ( Dr. Jan Dutz, Rheumatologist, Vancouver, BC ). ( Dr. Jan Dutz, Rheumatologist ), may talk about some of the conditions and some of the treatment options shown in the videos on HealthChoicesFirst. Always talk with your health care practitioner about the information you learnt from the videos in regards to treatments and procedures the healthcare practitioner could perform and if they would be appropriate for you. Remember good information is the corner stone to understanding your condition or disease. Please contact ( Dr. Jan Dutz, Rheumatologist, Vancouver, BC ) to enquire if this health care provider is accepting new patients. 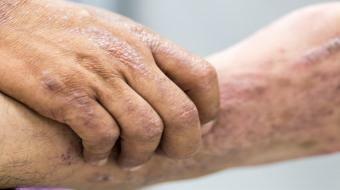 Dr. Jan Dutz, Skin Centre, Vancouver, BC, talks about what Atopic Dermatitis is, it's symptoms and how it is diagnosed. Dr. Jan Dutz, Dermatologist, Skin Care Centre, Vancouver, BC, discusses the various ways to treat atopic dermatitis. 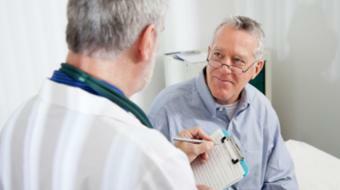 A rheumatologist is a physician who specializes in treating arthritis, autoimmune diseases, joint pain and osteoporosis. There are hundreds of types of these diseases, including rheumatoid arthritis, osteoarthritis, joint pain, tendinitis and gout. In treating patients, a rheumatologist can educate patients on surgical treatment options, bone density testing, ankylosing spondylitis, back pain, sports injuries, arthritis nutrition, arthritis bracing, vasculitis, psoriatic arthritis and juvenile arthritis. Leflunomide is a medication that is commonly used for rheumatoid arthritis and certain types of inflammatory arthritis, such as psoriatic arthritis. Leflunomide comes in a 10 milligram or a 20 milligram pill. Your rheumatologist may start you at a lower dose of around 10 milligrams a day, and if you tolerate it well, he or she may increase your dosage to 20 milligrams a day. Prednisone is a prescription steroid medication that is used to treat inflammation in the joints, skin, muscles, lungs and kidneys. 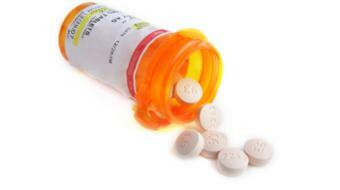 Prednisone comes in a 1 milligram, 5 milligram or 50 milligram tablet. Causes of Knee Pain " Eileen a 58-year-old female "
What Are The Symptoms of an MCL Tear? " Cam a 26-year-old male playing flag football "
Knee Pain and Hockey " Karl a 22-year-old university hockey player "